Is a Pitchers Glove Really Made? That’s what I said when my son said he would like to get a different glove to use when he was pitching. He told me there were gloves made just for pitchers. Come on now, pitchers pitch and if they can field a little, then all the better. But a specific glove for pitching? Is there really a glove made just for pitchers? Find the answer at the end of this article. 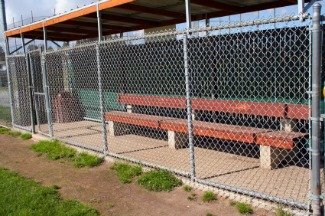 Why a Trip to the Dugout? 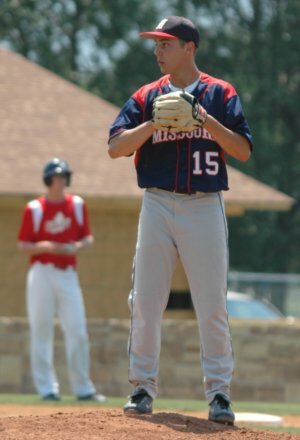 If you have been to a little league game, then you have probably seen the coach go out to the mound to make a pitching change. He might wave at the shortstop or center fielder and you are thinking he is bringing them in to pitch. But then the player trots off the field into the dugout. They reappear out of the dugout and go to the mound to start warm ups. So why did they have to take a trip to the dugout? Maybe they went to get a drink of water, or maybe to take off a bracelet or necklace? But probably not. They went into the dugout to switch gloves. Yes, they went and got their pitchers glove. Only baseball people understand this, but a boy’s baseball glove becomes a part of his body. Many a boy has slept with his glove. And this bonding effect with a baseball glove with last a lifetime. Ask an old timer about his childhood baseball glove and you will get a longer story than you imagined. He will remember every detail. He probably still has the glove. And nowadays, that love affair with a baseball glove means with two or three gloves. You see, baseball gloves, just like many other things, have become specialized. No longer are the choices a catcher’s mitt, first baseman’s glove and a glove for all other positions. Now there are gloves for infielders and outfielders. And some of these gloves are called a pitchers glove. Typically infielders wear a glove that ranges in size from 10” to 12”. What does the 10” represent? It is the measurement around the glove from the thumb to the pinky finger. But don’t try to measure a glove. It just never seems to work. And like lots of things, sizes do differ from manufacturer to manufacturer. A 12” glove from three different manufacturers may all differ in size, but only so slightly. Outfielders will usually use a glove that is from 12 ¼” to 13”. Outfielders like that little extra size to reach out farther. Infielders like the smaller glove because of the ease of grabbing the baseball out of the glove. Infielders have to get rid of the ball much quicker than outfielders, and a smaller glove helps. Size is the big difference maker in gloves, but the type of web is next in importance. There are two basic types of webs, open and closed. But there are many different types of open or closed webs. Open webs seem to be the most popular choice of glove, especially among infielders. Is There A Pitchers Glove or Not? Pitchers in no way want to help out the hitter. So the type of web for a pitcher is very important, it should be a closed web, to hide the pitching grip. And this is where the argument that there are gloves made just for pitchers comes in. Most pitchers find a 12” glove, with a closed web is just right for them. The 12” glove is really an infielder’s glove, but most infielders prefer an open web. So any 12” glove made with a closed web must be for pitchers, right? Not really, there are plenty of infielders that use a 12” closed web glove. The real answer is no, there are not gloves made for just pitchers, unless it is custom made. Manufacturers may have a category for pitchers gloves, but those gloves will also show up under the infielder’s gloves. Is a Pitchers Glove Needed? And the real truth is a boy can play any position, except catcher and maybe first base, with the same baseball glove. Do they need a different glove for pitching? Of course not. 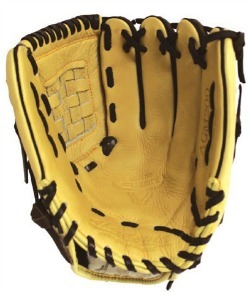 A 12” baseball glove with a closed web will work great in the infield, outfield or pitcher’s mound. But I have said it before, I see many young players carrying three or four baseball gloves with them. It may just be a confidence thing, but they swear by different gloves for different positions. Since we as parents try to do everything we can for our kids, I have searched the web high and low to come up the best baseball gloves for the price. My findings time and again are that Akadema makes the best gloves and at a reasonable price. If you want quality, good price and service, then Akadema is your answer. And what happened with my son that came to me asking for a pitchers glove? I got lucky and he found a neighborhood boy who had just bought a new glove, and sold his old one to us for $50. So be sure to beat the bushes before making a purchase. There is nothing like getting a deal on a used, broken in glove. I promise to use it only to send you Extra Innings. Subscribe to "Extra Innings" our every few weeks newsletter loaded with baseball drills, ideas and stories. Looking For the Best Wood Bats at the Lowest Prices?